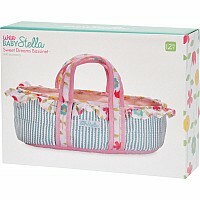 Nestle Wee Baby Stella in her little bassinet for a nice nap. 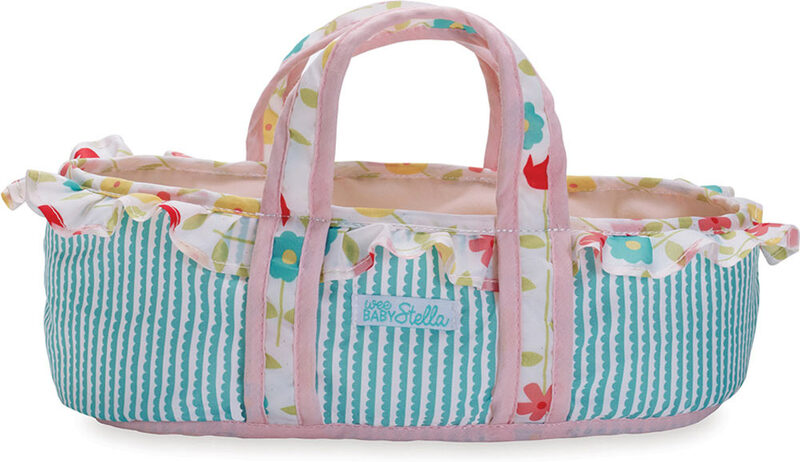 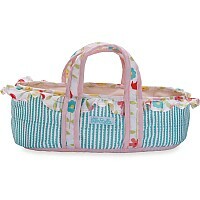 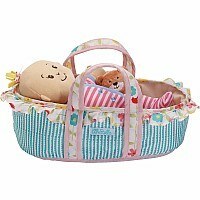 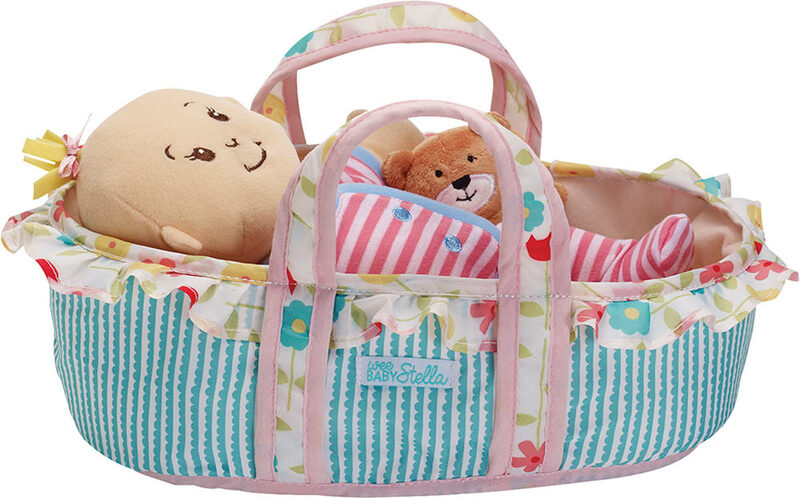 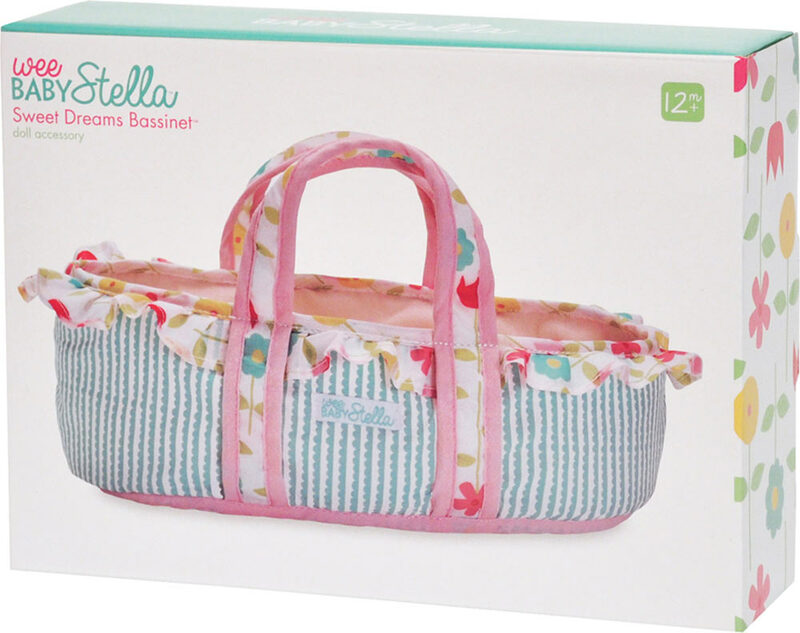 Adorable with blue and white stripes, plus flower print handle and trim, it fits any 12" Baby Stella doll. 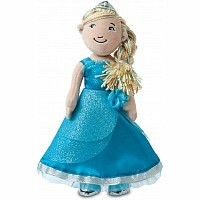 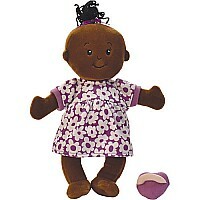 For ages 1-5 yrs, from Manhattan Toy Company.